Congratulations momma on your sweet new baby, this is one of the best times of your life and also one of the hardest!!!! The first time you hold your new baby is the best moment in the world, all of life is perfect holding your tiny miracle and then you start thinking on your way home, that you have a newborn and aren’t sure how to care for them or if you will be a good mom. 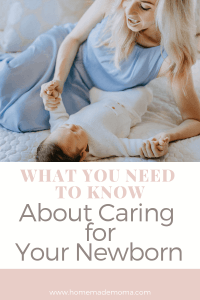 Here are baby care tips for new moms like you, filled with everything you need to know so you don’t worry about what to do and can spend more time enjoying your little one instead of worrying. One thing to remember is that your infant will cry, this is how they communicate another thing to remember is not to panic over every little thing! Yes, don’t freak out if you get spit up on or pooped on, these things happen because that is how babies are (there is nothing wrong with your baby). As a first-time mom, you are bound to be covered in stains of one kind or another for many years to come, try and get used to it, clean clothes are overrated at this point so forget about them! Taking care of a baby isn’t hard it just takes getting used to and a good routine and schedule. 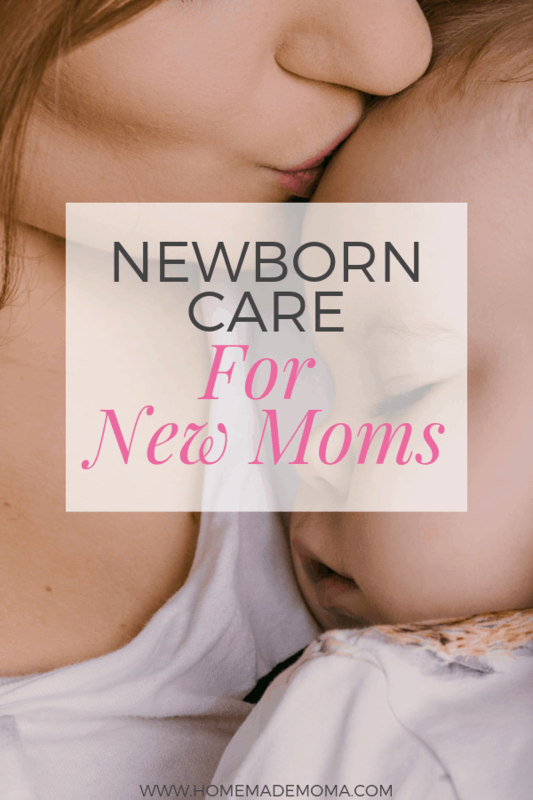 Here are the best baby care tips to help you get started as a new mom on your journey of mom-hood. You will find help on feeding, soothing, baby sleep, baby products and everything in between. The first thing to do when you get home is to put together a schedule for when to feed, change, play and put your baby to sleep. 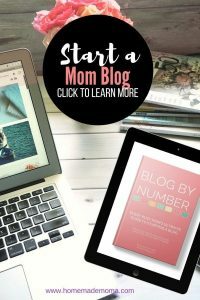 This will help you get into a routine and log everything so that when your husband or anyone else takes over they can see what comes next and stick to the schedule. This will help your baby get into the swing of things and know what to expect every day. Most newborns will eat eight to twelve times a day about every two or three hours so make sure to pay attention to cues your infant gives you like sucking on fists or smacking his mouth and sometimes open palms indicate that you need to feed your little one again. You can tell when your infant has had enough to eat by looking for closed fists which is an easy way to know that they are full. If you are going to be breastfeeding or exclusively pumping for extra milk when you go back to work or because your baby won’t latch then it is important to pump on a schedule. The best time for you to pump would be first thing in the morning and before or after breastfeeding. If your exclusively pumping you should pump eight to ten times a day until you reach full milk production and then continue to pump as it works for you to maintain your milk supply. Babies can get a bit fussy sometimes according to healthychildren.org and love to move, make sure to invest in a good swing, bouncer, baby carrier and stroller for these very occasions. Hopefully, you already have these on hand and can help your baby by placing them in a swing and rocking them for a little while. You could also go for a walk with the stroller or in the car if your newborn is not calming down. Babywearing is another great way to keep them calm, spending nine months in your body makes them crave the motion and using a baby carrier or wrap helps solve this problem and gives you two free hands at the same time. When you go to change your baby it is a good idea to put a clean diaper under them encase of an accident and for faster changes. This works well for boys so you don’t get peed on by simply holding the clean diaper over them after you remove the old one. I have been peed on a few times by my son and it’s not fun! If your newborn has had a big accident and you need to change their onesie simply pull it down over their shoulders instead of over their head, the shoulders are made with a flap in them for this very reason. This will keep it from being all over your babies hair and everywhere! Let Dad help out and don’t interfere with what he is doing unless it is life-threatening, he needs a chance to have a go at it and will learn along the way how to do things. If you are always telling him what to do with your infant he will get upset and be discouraged and possibly resentful. To avoid all of this simply let him do his thing. You need to let others help you after having your baby, this will help you get some rest and time to heal and you will not be so overwhelmed in the end because you have help. Don’t do the housework just rest and relax your body needs it right now. You could hire someone to come in and clean or let a friend or family member help you out for a few weeks until you are healed better. Map out a routine after the first few weeks so that you have a solid schedule you can stick to and your baby will still know what to expect, you can incorporate your newborn schedule into it so that it works well for both of you. Make sure to include feedings, diaper changes, naps, sleeping, play and tummy time in your schedule so that it flows well together. This will help you feel a little better about your schedule as well and will be able to fit what you need to do into your routine as well. In the beginning, you are going to have to help your little one go to sleep by creating a sleep routine such as giving a bath, pajamas, book, rock and put in bed. They will need to learn to fall asleep on their own but at an early age, this isn’t possible. 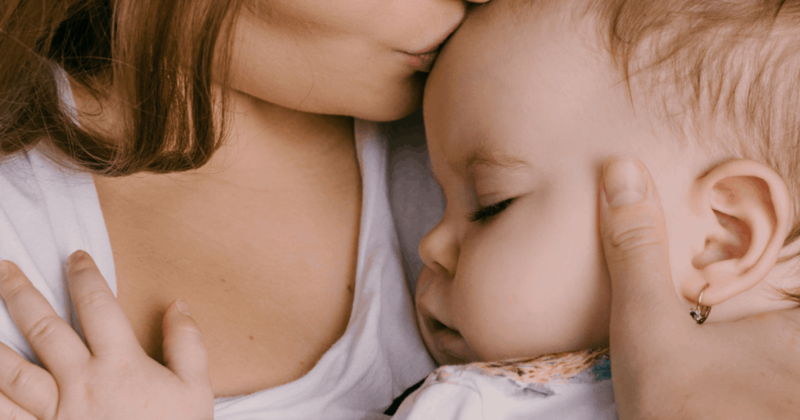 When your baby turns about four to six months you can start sleep training which will help your little one fall asleep without your help and will be a big help for you later on. You won’t have to deal with as many sleep issues this way! When you bathe your baby at home it is going to be hard the first time, it is best to use a baby tub or take a bath with your infant and wash them along with yourself so you can get clean at the same time. Your infant will get sick at some point, hopefully not till later on but if he or she does this is what you need to do to make them feel better. If your infant starts acting weird and you don’t feel good about it call your doctor and see what they say, you can schedule to go in if you aren’t comfortable with the answer they give you. Remember you know your baby better than anyone and what they are like normally verses being sick so don’t let anyone make you feel like you have no clue. In infants two months and younger any kind of low-grade fever you should call your doctor right away if they are a year old or younger and the fever is 102 or higher it is a good idea to call your doctor especially if they have stopped taking fluids and are acting strangely. If your little one gets a cold, put a humidifier in their room to help add moisture and help her breathe better while sleeping. You can’t give cough or cold medicine but can give Tylenol if your baby has a fever. You are going to want to get a baby nasal aspirator to pull out the gunk in her nose, it will help her feel more comfortable if she has a cold. I love using NoseFrida for this, it works well and is better for your baby then the little blue nasal sucker you get at the hospital. Keep your baby well hydrated and keep some Pedialyte on hand or Pedialyte popsicles to help if he isn’t getting enough fluids. You could even make some breast milk Popsicles by freezing milk in an ice tray using a pacifier. These work well for teething also! Elevate her head at night by raising the mattress with a big blanket or pillow, this will help him sleep better at night and wake up less for you. If your baby is throwing up try to give a spoonful of Pedialyte every ten minutes until they can keep it down then you can give more in a bottle this will keep them hydrated. You can start doing the brat diet if you are feeding your baby solids otherwise supplement with formula or breast milk in smaller doses if you can. When you feel like you can’t be in the house anymore plan an outing either around the block pushing the stroller or going to the grocery store or a friends house. It will help you depress and a new environment will be good for both of you for a few hours. Pack your diaper bag ahead of time so you don’t have to do this when you are ready to go out the door, it will make life a lot easier for you. You don’t need to bring the kitchen sink with you just a few things, I know some people pack bouncers, play mats and a baby swing but I think that is a bit overboard. Bring the basics and you will be okay. When you are out don’t let strangers touch your baby, be kind and ask them politely if they would refrain from touching your peanut. Most people don’t rush up and touch babies so you should be okay but you may have the occasional weird one that will try. Don’t overdress your little one or underdress, if it is super hot out a short sleeve outfit will be okay along with sunscreen and a lite blanket if you go into air conditioning. When it’s cold out use a baby jumpsuit pram, they are super cozy and will protect your little one from the elements and they aren’t big and bulky. 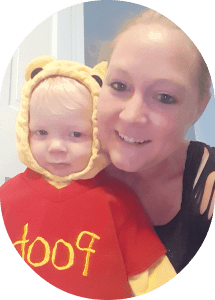 This is the one I used with my son and I loved it, he wore it up until he was 18 months, it’s a great investment, looks adorable and comes in many cute colors!! At the beginning when your infant is little, they can’t regulate their body temperature so you have to be careful not to make them uncomfortable, dress them in layers that you can remove if you need to. A good way to check their temperature and see if they are warm is to check her back, chest and belly, they should be warm to the touch. If they aren’t warm then you know your little one is cold and needs a blanket or another layer on. If your baby is too hot then their chest will be hot to the touch, they will be sweating, red cheeks and breathing faster then usual, then you know it’s time to remove some layers or get them someplace cooler. The hospital will teach you a lot about the basic care of your baby along with your mom or a good friend, and some things you will learn as you go. Each baby is different and unique, not everything will work on your child compared to another. A lot of parenting is going to be trial and error!! You are going to be a wonderful momma, we all make mistakes and mess up at times but you will figure out what works well for you and get into a scheduled routine. Being a mom is hard and you will be tired, take all the help you can get when you can and enjoy some time to yourself, you can’t be a mom if you are burnt out. Taking care of yourself is very important so don’t forget about you but also try to include your husband in everything so he doesn’t feel left out of the whole baby experience. Make sure to go out on a date at least once a month or once a week to keep your relationship strong and have a break from being parents for a little while. If you liked this post please comment below or pin to Pinterest for later!